Oil market volatility continues unabated indicative of the barmy nature of the world we live in. On January 25, the Brent forward month futures contract spiked above US$113. If the day's intraday price of US$113.46 is used as a cut-off point, then it has risen by 4.3% since Christmas Eve. If you ask what has changed in a month? Well not much! The Algerian terror strike, despite the tragic nature of events, does not fundamentally alter the geopolitical risk premium for 2013. In fact, many commentators think the risk premium remains broadly neutral and hinged on the question whether or not Iran flares-up. So is a US$113-plus Brent price merited? Not one jot! If you took such a price-level at face value, then yours would be a hugely optimistic view of the global economy, one that it does not merit on the basis of economic survey data. When the ratio is relatively high, this means the trading community or shall we say the majority in the trading community expect bearish trends. When the ratio is relatively low, they’re heading-up a bullish path. The Oilholic feels it is prudent to point out that tracking the weekly volume of market puts and calls is a method of gauging the sentiments of majority of traders. Overall, the market can, in the right circumstances, prove a majority of traders wrong. So let’s see how things unfold. Meanwhile, the CME Group said on January 24 that the NYMEX March Brent Crude had made it to the next target of US$112.90/113.29 and topped it, but the failure to break this month’s high "signals weakness in the days to come." The group also announced a record in daily trading volume for its NYMEX Brent futures contract as trading volumes, using January 18 as a cut-off point, jumped to 30,250 contracts; a 38% increase over the previous record of 21,997 set on August 8, 2012. From the crude oil market to the stock market, where ExxonMobil finally got back its position of being the most valuable publicly traded company on January 25! Apple grabbed the top spot in 2011 from ExxonMobil which the latter had held since 2005. Yours truly does not have shares in either company, but on the basis of sheer consistency in corporate performance, overall value as a creator of jobs and a general contribution to the global economy, one would vote for the oil giant any day over an electronic gadgets manufacturer (Sorry, Apple fans if you feel the Oilholic is oversimplifying the argument). Switching tack to the macro picture, Fitch Ratings says Russian oil production will probably peak in the next few years as gains from new oilfields are offset by falling output from brownfield sites. In a statement on January 22, the ratings agency said production gains that Russia achieved over the last decade were mainly driven by intensive application of new technology, in particular horizontal drilling and hydraulic fracturing applied to Western Siberian brownfields on a massive scale. "This allowed oil companies to tap previously unreachable reservoirs and dramatically reverse declining production rates at these fields, some of which have been producing oil for several decades. In addition, Russia saw successful launches of several new production areas, including Rosneft's large Eastern Siberian Vankor field in 2009," Fitch notes. However, Fitch says the biggest potential gains from new technology have now been mostly achieved. The latest production figures from the Russian Ministry of Energy show that total crude oil production in the country increased by 1.3% in 2012 to 518 million tons. Russian refinery volumes increased by 4.5% to 266 million tons while exports dropped by 1% to 239 million tons. 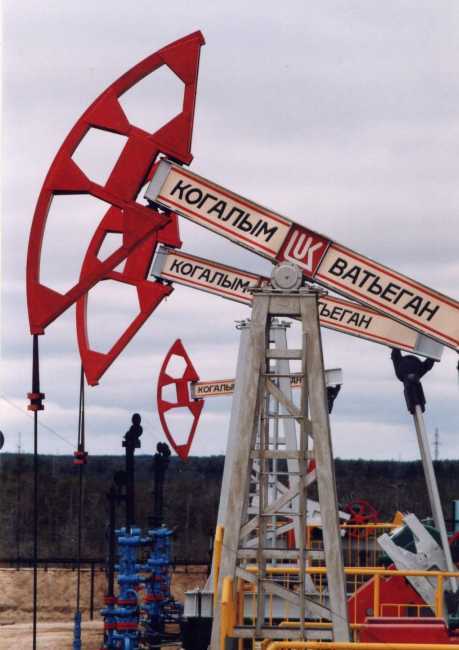 Russian oil production has increased rapidly from a low of 303 million tons in 1996. "Greenfields are located in inhospitable and remote places and projects therefore require large amounts of capital. We believe oil prices would need to remain above US$100 per barrel and the Russian government would need to provide tax incentives for oil companies to invest in additional Eastern Siberian production," Fitch says. 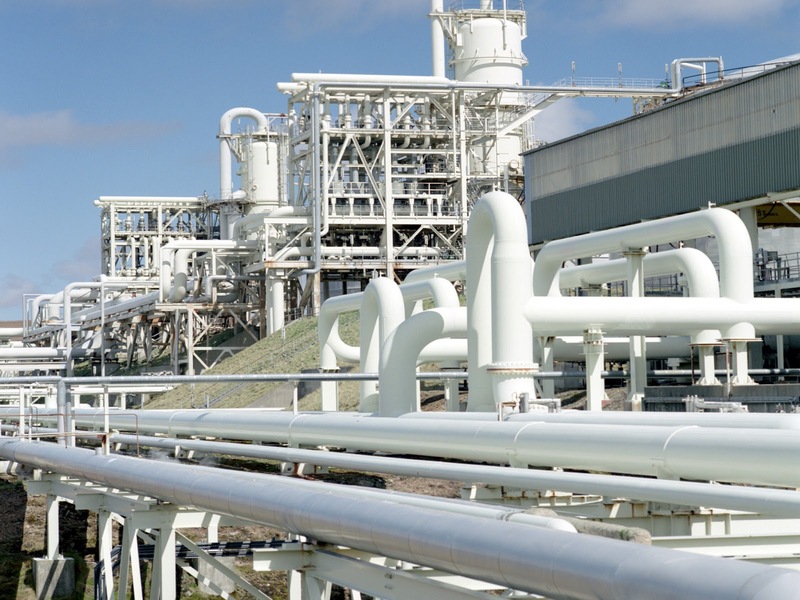 A notable exception is the Caspian Sea shelf where Lukoil, Russia’s second largest oil company, is progressing with its exploration and production programme. The ratings agency does see potential for more joint ventures between Russian and international oil companies in exploring the Russian continental shelf. No doubt, the needs must paradigm, which is very visible elsewhere in the ‘crude’ world, is applicable to the Russians as well. On the very same day as Fitch raised the possibility of Russian production peaking, Peking announced a massive capital spending drive towards shale exploration. Reuters reported that China intends to start its own shale gale as the country’s Ministry of Land and Resources issued exploration rights for 19 shale prospection blocks to 16 firms. Local media suggests most of the exploration rights pertain to shale gas exploration with the 16 firms pledging US$2 billion towards the move. On the subject of shale and before the news arrived from China, IHS Vice Chairman Daniel Yergin told the World Economic Forum in Davos that major unconventional opportunities are being identified around the world. "Our research indicates that the shale resource base in China may be larger than in the USA, and we note prospects elsewhere," he added. However, both the Oilholic and the industry veteran and founder of IHS CERA agree that the circumstances which led to and promoted the development of unconventional sources in the USA differ in important aspects from other parts of the world. “It is still very early days and we believe that it will take several years before significant amounts of unconventional oil and gas begin to appear in other regions,” Yergin said. In fact, the US is benefitting in more ways than one if IHS’ new report Energy and the New Global Industrial Landscape: A Tectonic Shift is to be believed. That’s all for the moment folks! Keep reading, keep it ‘crude’! © Gaurav Sharma 2013. Graph: Brent Crude – Put/Call ratio © Saxo Bank, Photo: Russian jerry pump jacks © Lukoil, Bar Chart: US jobs growth projection in the unconventional oil & gas sector © IHS 2013. The terrorist strike on Algeria’s In Amenas gas field last week and the bloodbath that followed as the country’s forces attempted to retake the facility has dominated the news headlines. The siege ended on Saturday with at least 40 hostages and 32 terrorists dead, according to newswires. The number is likely to alter as further details emerge. The hostage takers also mined the whole facility and a clear-up is presently underway. The field is operated as a joint venture between Algeria's Sonatrach, Statoil and BP. While an estimated 50,000 barrels per day (bpd) of condensate was lost as production stopped, the damage to Algeria’s oil & gas industry could be a lot worse as foreign oil workers were deliberately targeted. In its assessment of the impact of the terror strike, the IEA said the kidnapping and murder of foreign oil workers at the gas field had cast a ‘dark cloud’ over the outlook for the country's energy sector. The agency said that 'political risk writ large' dominates much of the energy market, 'and not just in Syria, Iran, Iraq, Libya or Venezuela' with Algeria returning to their ranks. Some say it never left in the first place. Reflecting this sentiment, BP said hundred of overseas workers from IOCs had left Algeria and many more were likely to join them. Three of the company’s own workers at the In Amenas facility are unaccounted for. The forecast is now 240,000 bpd more than the IEA estimate published in December, up to 90.8 million bpd; up 1% over 2012. "All of a sudden, the market looks tighter than we thought…OECD inventories are getting tighter - a clean break from the protracted and often counter-seasonal builds that had been a hallmark of 2012," IEA said. However, the agency stressed there was no need for rushed interpretations. "The dip in Saudi supply, for one, seems less driven by price considerations than by the weather. A dip in air conditioning demand - as well as reduced demand from refineries undergoing seasonal maintenance - likely goes a long way towards explaining reduced output. Nothing for the global market to worry about," the IEA said. "The bull market of 2003‐2008 was all about demand growth and perceived supply constraints. The bear market that followed was all about financial meltdown. Today's market, as the latest data underscore, has a lot to do with political risk writ large. Furthermore, changes in tax and trade policies, in China and in Russia, can, at the stroke of a pen, shakeup crude and products markets and redraw the oil trade map," the agency concluded. Simply put, it’s too early for speculators to get excited about a possible bull rally in the first quarter of 2013, something which yours truly doubts as well. However, across the pond, the WTI forward month futures contract cut its Brent discount to less than US$15 at one point last week, the lowest since July. As the glut at Cushing, Oklahoma subsides following the capacity expansion of the Seaway pipeline, the WTI-Brent discount would be an interesting sideshow this year. The IEA added that non-OPEC production was projected to rise by 980,000 bpd to 54.3 million bpd, the highest growth rate since 2010. Concurrently, BP said that US shale oil production is expected to grow around 5 million bpd by 2030. This, according to the oil major, is likely to be offset by reductions in supply from OPEC, which has been pumping at historical highs led by the Saudis in recent years. BP's chief economist Christof Ruehl said, "This will generate spare capacity of around 6 million bpd, and there's a fault line if there is higher shale production then the consequences would be even stronger." But the shale revolution will remain largely a "North American phenomenon," he added. "No other country outside the US and Canada has yet succeeded in combining these factors to support production growth. While we expect other regions will adapt over time to develop their resources, by 2030 we expect North America still to dominate production of these resources," Ruehl said. Along the same theme, CNN reported that California is sitting on a massive amount of shale oil and could become the next oil boom state. That’s only if the industry can get the stuff out of the ground without upsetting the state's powerful environmental lobby. Yeah, good luck with that! In the full year to December-end 2013, the Saudi budget, unveiled on December 29, projected record spending of US$219 billion (34% of GDP), up by almost 20% on the 2012 budget. Budgeted capital spending is 28% higher than in 2012, though the government has struggled to achieve its capital spending targets in recent years. While an 18% rise in Saudi revenues is projected in the budget, they are based on unstated oil price and production assumptions, with the former well below prevailing market prices. Fitch anticipates Saudi production and prices will be lower in 2013 than 2012. "With no new revenue-raising measures announced and little scope for higher oil revenues, the revenue projection appears less cautious than usual. However, actual revenues generally substantially exceed budget revenues (by an average of 82% over the past five years) and should do so again in 2013," the agency said. Meanwhile, political uncertainty continues in Venezuela with no clarity about the health of President Hugo Chavez. It has done Petróleos de Venezuela's (PDVSA), the country’s national oil company, no favours. On January 16, ratings agency Moody’s changed PDVSA's rating outlook to negative. It followed the change in outlook for the Venezuelan government's local and foreign currency bond ratings to negative. "The sovereign rating action reflects increasing uncertainty over President Chavez's political succession, and the impact of a possibly tumultuous transition on civil order, the economy, and an already deteriorating government fiscal position," Moody’s said. On PDVSA, the agency added that as a government-related issuer, the company's ratings reflect a high level of imputed government support and default correlation between the two entities. Hence, a downgrade of the government's local and foreign currency ratings would be likely to result in a downgrade of PDVSA's ratings as well. Away from a Venezuela, two developments in the North Sea – a positive and a negative apiece – are worth taking about. Starting with the positive news first, global advisory firm Deloitte found that 65 exploration and appraisal wells were drilled on the UK Continental Shelf (UKCS), compared with 49 in 2011. The activity, according to Deloitte, was boosted by a broader range of tax allowances and a sustained high oil price. 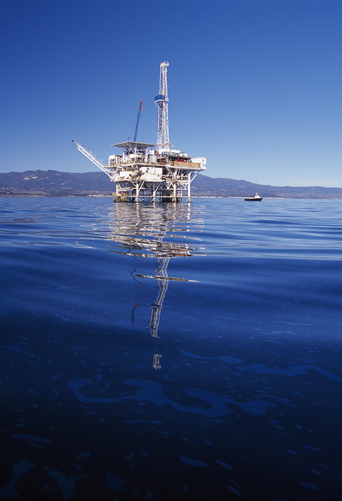 The news came as Dana Petroleum said production had commenced at the Cormorant East field which would produce about 5,500 bpd initially. Production will be processed at the Taqa-operated North Cormorant platform, before being sent to BP's Sullom Voe terminal (pictured above) for sale. Taqa, an Abu Dhabi government-owned energy company, has a majority 60% stake in the field. Alongside Dana Petroleum (20%), its other partners include Antrim Resources (8.4%), First Oil Expro (7.6%) and Granby Enterprises (4%). While Taqa was still absorbing the positives, its Cormorant Alpha platform, about 160 km from the Shetland Islands, reported a leak leading to a production shut-down at 20 other interconnected North Sea oilfields. Cormorant Alpha platform handles an output of about 90,000 bpd of crude which is transported through the Brent pipeline to Sullom Voe for dispatch. Of this only 10,000 bpd is its own output. Thankfully there was no loss of life and Taqa said the minor leak had been contained. It is currently in the process of restoring 80,000 bpd worth of crude back to the Brent pipeline system along with sorting its own output. Finally, as the Oilholic blogged back in October on a visit to Hawaii, Tesoro is to close its Kapolei, O'ahu refinery in the island state in April as a buyer has failed to turn-up (so far). In the interim, it will be converting the facility to a distribution and storage terminal in the hope that a buyer turn up. The Oilholic hopes so too, but in this climate it will prove tricky. Tesoro will continue to fulfil existing supply commitments. That’s all for the moment folks except to inform you that after resisting it for years, yours truly has finally succumbed and opened a Twitter account! Keep reading, keep it ‘crude’! © Gaurav Sharma 2013. 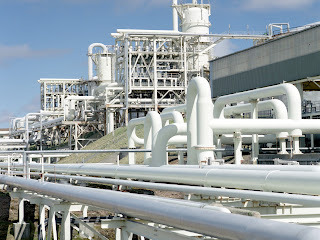 Photo: Sullom Voe Terminal, BP © BP Plc. We constantly debate about the world’s finite and fast depleting natural resources; that everything from fossil fuel to farmable acreage is in short supply. Some often take the line that the quest for mineral wealth would be a fight to the death. Others, like academic Dambisa Moyo take a more pragmatic line on resource scarcity and rationally analyse what is at stake as she has done in her latest book Winner Take All: China’s race for resources and what it means for us. That the Chinese are in town for more than just a slice of the natural resources cake is well documented. 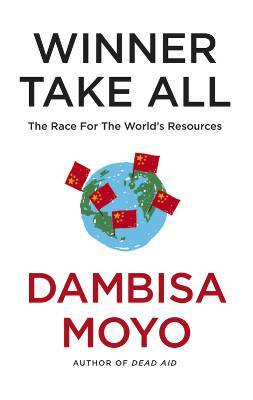 Yet, instead of crying ‘wolf’, Moyo sequentially dissects and offers highly readable conjecture on how China is leading the global race for natural resources be it via their national oil companies, mergers, asset acquisitions, lobbying or political leverage on an international scale. While cleverly watching out for their interests, the author explains, in this book of just over 250 pages split by two parts containing 10 chapters, that the Chinese are neck-deep in a global resources rush but not necessarily the causative agents of perceived resource scarcity. However, that they are the dominant players in a high stakes hunt for commodities from Africa to Latin America is unmistakable. For good measure and as to be expected of a book of this nature, the author has examined a variety of tangents hurled around in a resource security debate. The Dutch disease, geopolitics, risk premium in commodities prices, resource curse hypothesis have all been visited versus the Chinese quest by Moyo. The Oilholic found her arguments on the subject to be neither alarmist nor populist. Rather, she has done something commendable which is examine how we got to this point in the resources debate, the operations of commodity markets and the geopolitical shifts we have seen rather than sensationalise the subject matter. China, the author opines may be leading the race for resources, but is by no means the only hungry horse in town. Overall, it is a very decent book and well worth reading given its relevance and currency in today’s world. The Oilholic would be happy recommend it to commodities traders, those interested in international affairs, geopolitics, financial news and resource economics. Finally, those who have made a career out of future projections would find it very well worth their while to absorb it from cover to cover. © Gaurav Sharma 2013. Photo: Front cover - Winner Take All © Allen Lane / Penguin Group UK. Over a fortnight into 2013 and a mere day away from the Brent forward month futures contract for February expiring, the price is above a Nelson at US$111.88 per barrel. That’s after having gone to and fro between US$110 and US$112 intra-day. As far as the early January market sentiment goes, ICE Future Europe said hedge funds and other money managers raised bullish positions on Brent crude by 10,925 contracts for the week ended January 8; the highest in nine months. Net long positions in futures and options combined, outnumbered short positions by 150,036 lots in the week ended January 8, the highest level since March 27 and the fourth consecutive weekly advance. On the other hand, bearish positions by producers, merchants, processors and users of Brent outnumbered bullish positions by 175,478, down from 151,548 last week. It’s the biggest net-short position among this category of market participants since August 14. So where are we now and where will we be on December 31, 2013? Despite many market suggestions to the contrary, Barclays continues to maintain a 2013 Brent forecast of US$125. The readers of this blog asked the Oilholic why and well the Oilholic asked Barclays why. To quote the chap yours truly spoke to, the reason for this is that Barclays’ analysts still see the Middle East as “most likely” geopolitical catalyst. “While there are other likely areas of interest for the oil market in 2013, in our view the main nexus for the transmission into oil prices is likely to be the Middle East, with the spiralling situations in Syria and Iraq layered in on top of the core issue of Iran’s external relations,” a Barclays report adds. Agreed, the Middle East will always give food for thought to the observers of geopolitical risk (or instability) premium. Though it is not as exact a science as analysts make it out to be. However, what if the Chinese economy tanks? To what extent will it act as a bearish counterweight? And what are the chances of such an event? For starters, the Oilholic thinks the chances are 'slim-ish', but if you’d like to put a percentage figure to the element of chance then Michael Haigh, head of commodities research at Société Générale, thinks there is a 20% probability of a Chinese hard-landing in 2013. This then begs the question – are the crude bulls buggered if China tanks, risk premium or no risk premium? Well China currently consumes around 40% of base metals, 23% major agricultural crops and 20% of ‘non-renewable’ energy resources. So in the event of a Chinese hard-landing, not only will the crude bulls be buggered, they’ll also lose their mojo as investor confidence will be battered. Haigh thinks in the event of Chinese slowdown, the Brent price could plummet to US$75. “A 30% drop in oil prices (which equates to approximately US$30 given the current value of Brent) would ultimately boost GDP growth and thus pull oil prices higher. OPEC countries would cut production if prices fall as a result of a China shock. So we expect Brent’s decline to be limited to US$75 as a result,” he adds. Remember India, another major consumer, is not exactly in a happy place either. However, it is prudent to point out the current market projections suggest that barring an economic upheaval, both Indian and Chinese consumption is expected to rise in 2013. Concurrently, the American separation from international crude markets will continue, with US crude oil production tipped to rise by the largest amount on record this year, according to the EIA. The independent statistical arm of the US Department of Energy, estimates that the country’s crude oil production would grow by 900,000 barrels per day (bpd) in 2013 to 7.3 million bpd. While the rate of increase is seen slowing slightly in 2014 to 600,000 bpd, the total jump in US oil production to 7.9 million bpd would be up 23% from the 6.4 million bpd pumped domestically in 2012. The latest forecast from the EIA is the first to include 2014 hailing shale! If the agency’s projections prove to be accurate, US crude oil production would have jumped at a mind-boggling rate of 40% between 2011 and 2014. The EIA notes that rising output in North Dakota's Bakken formation and Texas's Eagle Ford fields has made US producers sharper and more productive. "The learning curve in the Bakken and Eagle Ford fields, which is where the biggest part of this increase is coming from, has been pretty steep," a spokesperson said. So it sees the WTI averaging US$89 in 2013 and US$91 a barrel in 2014. Curiously enough, in line with other market forecasts, bar that of Barclays, the EIA, which recently adopted Brent as its new international benchmark, sees it fall marginally to around US$105 in 2013 and falling further to US$99 a barrel in 2014. On a related note, Fitch Ratings sees supply and demand pressures supportive of Brent prices above US$100 in 2013. “While European demand will be weak, this will be more than offset by emerging market growth. On the supply side, the balance of risk is towards negative, rather than positive shocks, with the possibility of military intervention in Iran still the most obvious potential disruptor,” it said in a recent report. However, the ratings agency thinks there is enough spare capacity in the world to deal with the loss of Iran's roughly 2.8 million bpd of output. Although this would leave little spare capacity in the system were there to be another supply disruption. Let’s see how it all pans out; the Oilholic sees a US$105 to US$115 circa for Brent over 2013. Meanwhile, the spread between Brent and WTI has narrowed to a 4-month low after the restart of the Seaway pipeline last week, which has been shut since January 2 in order to complete a major expansion. The expanded pipeline will not only reduce the bottleneck at Cushing, Oklahoma but reduce imports of waterborne crude as well. According to Bloomberg, the crude flow to the Gulf of Mexico, from Cushing, the delivery point for the NYMEX oil futures contract, rose to 400,000 bpd last Friday from 150,000 bpd at the time of the temporary closure. On a closing note, and going back to Fitch Ratings, the agency believes that cheap US shale gas is not a material threat to the Europe, Middle East and Africa’s (EMEA) oil and gas sector in 2013. It noted that a lack of US export infrastructure, a political desire for the US to be self-sufficient in gas, and the prevalence of long term oil-based gas supply contracts in Europe all suggest at worst modest downward pressure on European gas prices in the short to medium term. Fitch’s overall expectation for oil and gas revenues in EMEA in 2013 is one of very modest growth, supported by continued, if weakened, global GDP expansion and potential supply shocks. The ratings agency anticipates that top line EMEA oil and gas revenue growth in 2013 will be in the low single digits. There remains a material – roughly 30% to 40% – chance that revenue will fall for the major EMEA oil producers, but if so this fall is unlikely to be precipitous according to a Fitch spokesperson. That’s all for the moment folks! One doubts if oil traders are as superstitious about a Nelson or the number 111 as English cricketers and Hindu priests are, so here’s to Crude Year 2013. Keep reading, keep it ‘crude’! © Gaurav Sharma 2013. Photo: Holly Rig, Santa Barbara, California, USA © James Forte / National Geographic.